Joseph and Arnold Schwarzenegger share a common trait: Normal can't describe them. 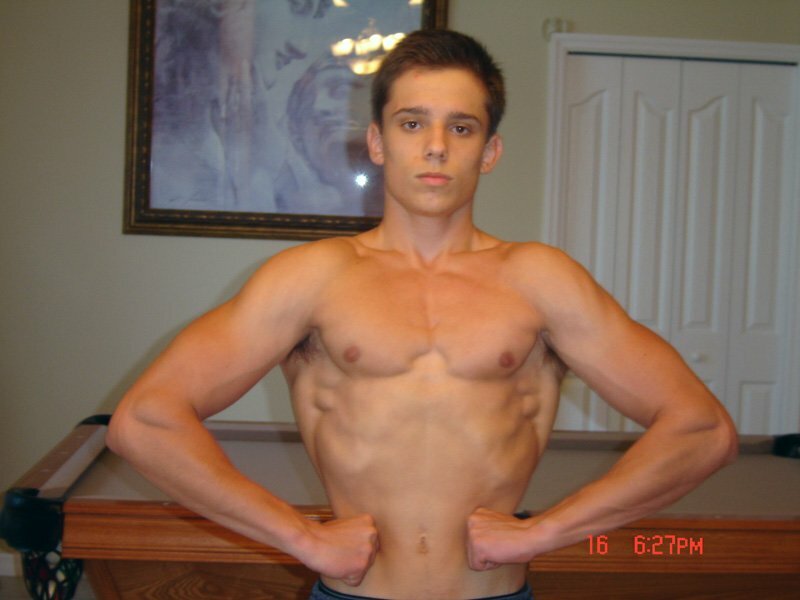 Most 15-year-olds don't care to be ripped, but Joseph couldn't imagine life any other way! Throughout my childhood I was skinny and frail. I moved to a new school where I was bullied to an extent where I had to do something about it. I started to read about Arnold Schwarzenegger and admired the hard work he did to become a successful bodybuilder. I started to exercise as a 12-year-old and immediately became addicted to seeing results. By the time summer was over the bullies left me alone and I've constantly been on a mission to sculpt my body to its limit. My father started to lift with me, which really made me want to work my hardest. Arnold really pointed me in the right direction, and now I am determined to transform my body into a bodybuilding machine. Music is his pre-workout supplement. I am obsessed with seeing results. The feeling of being in pain after a tough workout, or when I wake up in the morning and have trouble getting out of bed because I lifted so hard—it's that feeling that drives me to do it again every single day. The fact that you have an advantage of the normal person is enough motivation to me. After a long day at the gym or work I feel accomplished because I know I worked hard. My father is also a big inspiration for me. He keeps me training hard. Music is my motivator. Playing music really loud gets me pumped, and in my opinion is the best pre-workout supplement you can take. I used to watch Zyzz on YouTube. He was a big motivator as well. I have a competition next month, and after that it's just fate guiding me to my next move. Everyone's body is different so no one can educate you on what you have to do to achieve success in bodybuilding. I like Frank Zane because he had a diverse style of bodybuilding, and looked more natural than other emerging bodybuilders. I have looked up plenty of workouts, and have retained a lot of information from fellow bodybuilders.